There is plenty to like about living in Bangsar – central location, plenty of amenities, great neighbourhood and good food, if you ask me. 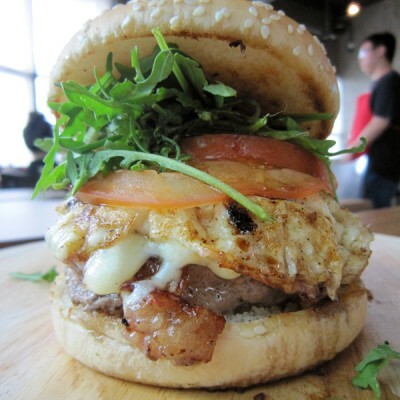 But the one thing I find incredibly lacking in Bangsar is the presence of Chinese tai chow (big fry) places, which forces me to explore other tai chow options elsewhere. 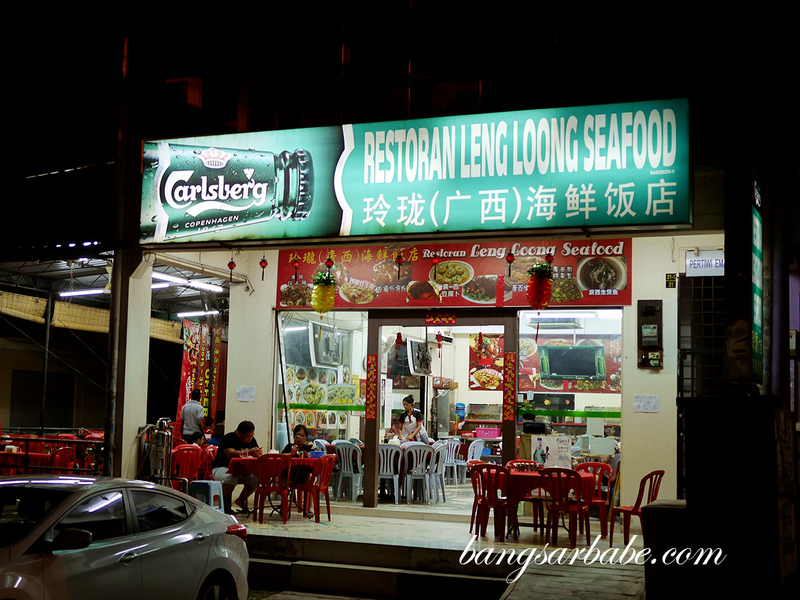 Jien and I found ourselves near Kajang last weekend, so Leng Loong Seafood Restaurant in Taman Equine became an option for dinner. Our friend who used to live in Seri Kembangan told us about this restaurant, claiming the food was quite decent and reasonably priced. 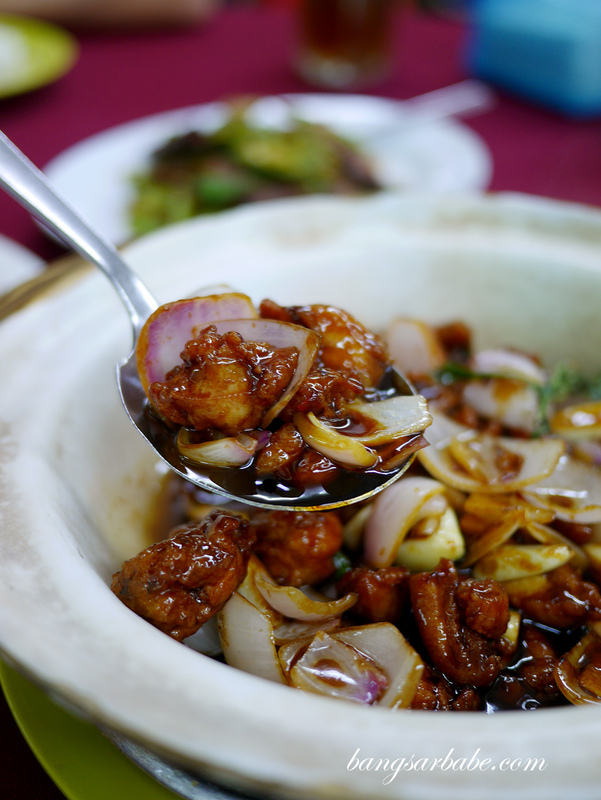 Leng Loong Restaurant is known for its Kong Sai dishes and the chef hails from Lenggong in Perak. 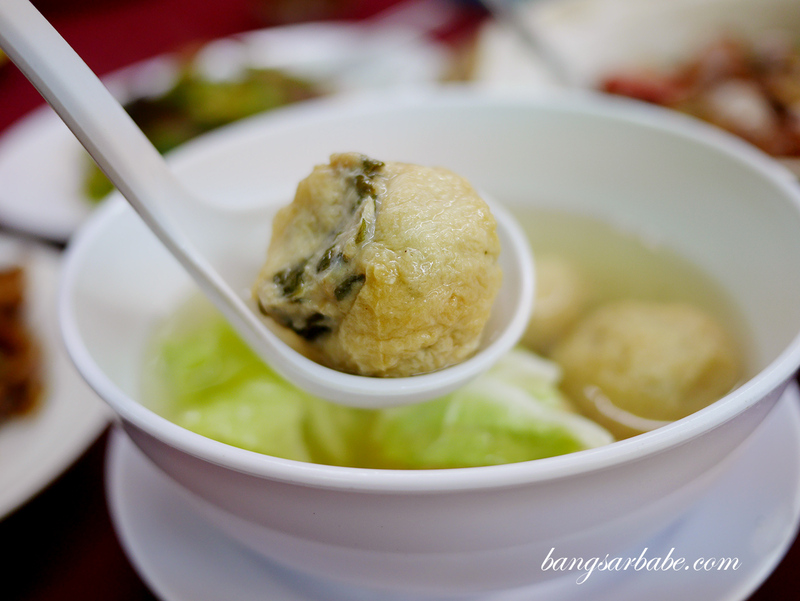 That explains the stuffed taufu pok (RM12 – small) which features tofu puffs stuffed with a filling of minced pork and chives. 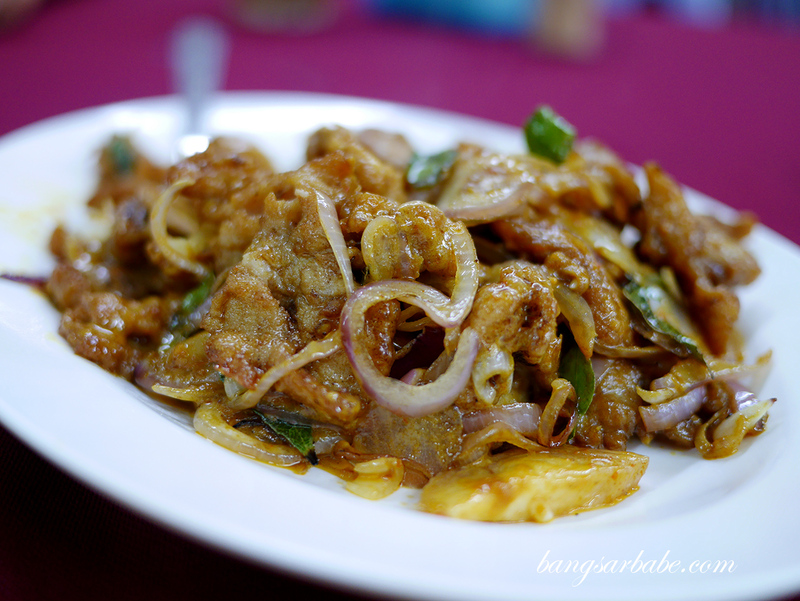 Portions are generous, evident from the size of the dry pork curry (RM19 – small). 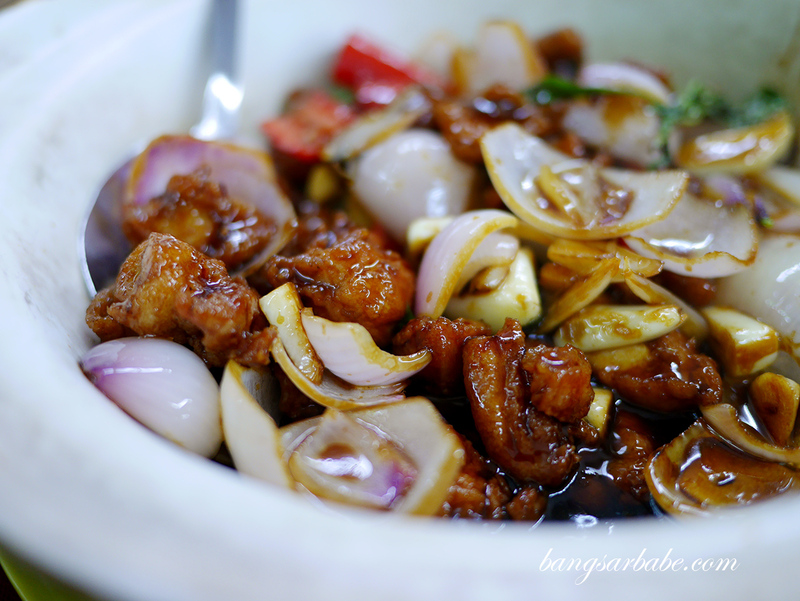 I would have liked this dish to be spicier as this bordered on the mild side, with plenty of sweetness from the onions. That said, it was a decent curry dish which went well with white rice. Three cup chicken (RM19 – small) was recommended to us by the girl who took our order and I rather enjoyed it. Opt for boneless and skinless chicken pieces for hassle-free eating – this could use more basil leaves for flavour and aroma but that’s just my preference. 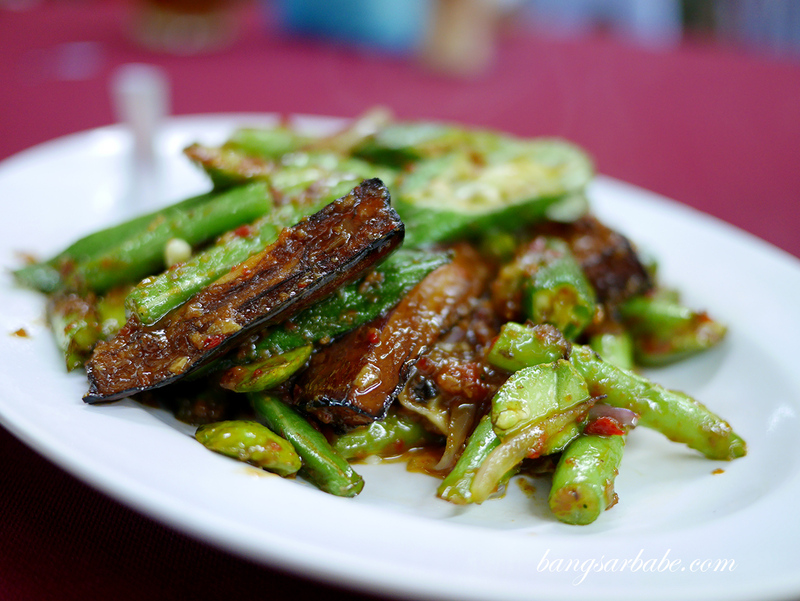 We also shared a portion of four heavenly kings (RM12 – small), a mixture of brinjal, petai, long beans and ladies finger in sambal gravy. Leng Loong’s version is lighter and not as spicy, but heavy on the dried shrimp for bite and umami. They are also known for their handmade noodles but we didn’t try any that night. I did order a takeaway Cantonese yin yong (RM8) and it was not too bad. I guess this calls for another visit when I’m in the area. 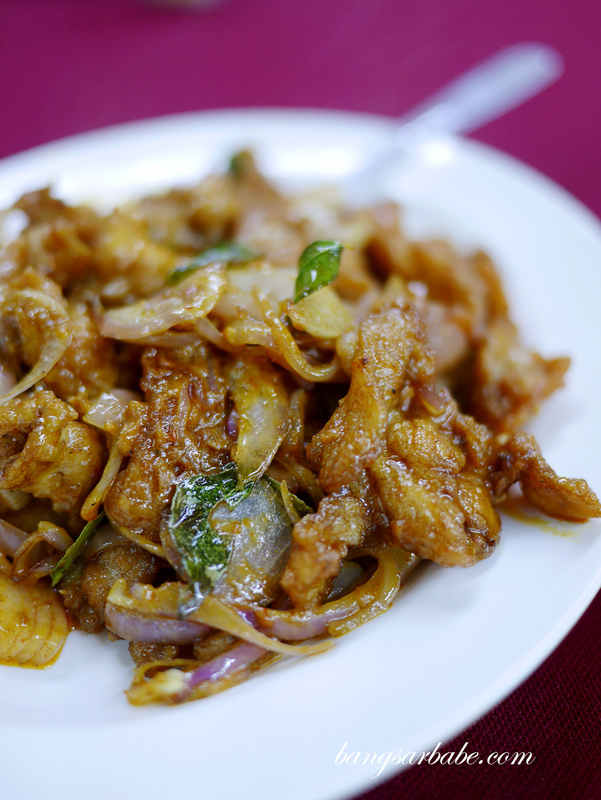 Verdict: Order the three cup chicken and dry pork curry. 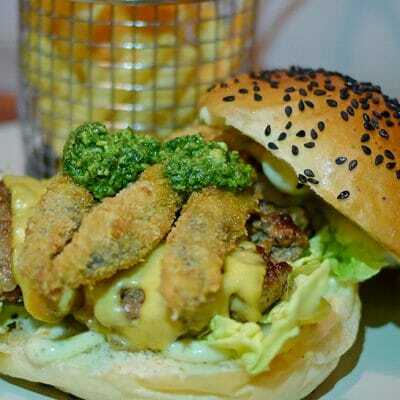 Business hours: 10.30am till 2.30am daily.